If you’re like most people, there have been times in your life—if you’re like me, lots of times—when you have said, “If I knew then what I know now, I never would have done that!” In reality, experience alone seldom gives us the wisdom we need to avoid all future missteps, whether days or years from now. As much as we like to think we know what is best for us and for those entrusted to our care, much of life is still beyond our control. It’s frustrating—but it is also part of the human condition. The Apostle Paul said it best in his letter to the Romans: “I do not understand my own actions. For I do not do what I want, but I do the very thing I hate” (Romans 7:15). It’s called concupiscence, a fancy word for “disordered desire.” As human persons, we do not always desire what is best for us. Not the way God does. The good news is that it doesn’t have to be that way. God became one of us in Jesus Christ to help us break this vicious cycle. He shed his blood to break the power of sin in our lives, and to restore us into relationship with God the Father. Sounds great, doesn’t it? There’s just one small catch: We must be willing to be entirely transformed, starting from the inside. Everything must change: what we do, how we think, what we believe, and whom we follow. In the language of the Scriptures, we must “repent.” This doesn’t sound like great news at first—not to those who have deluded themselves into thinking that they are in control of their own lives. Yet to those who know better, it is the best news imaginable. Still, it all boils down to the cross. Not the beautifully engraved golden ornament you can put around your neck and forget. It’s the kind of cross Mel Gibson portrayed in The Passion of the Christ: full of pain and feelings of rejection, not to mention the blood and gore. The kind that requires you to die. It’s frightening. It’s agonizing. It’s risky. It’s nothing we would choose for ourselves, not in a million years. mentioning. 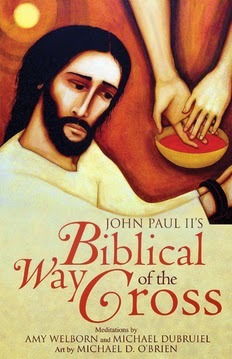 The way of the cross is the only way to eternal glory. Second, the Lord does not expect us to walk this way alone. He gives us a helper, the Holy Spirit. He strengthens us through the sacraments. And Jesus also gives us his very life— body and blood, soul and divinity— in the Eucharist. My friend Pearl understood this, and received her Lord as often as she could. It was the incredible grace of this sacrament that gave her the strength to live out the mission God had given her to fulfill. On the other hand, you don’t have to be a spiritual “giant” to take up your cross like Pearl did. Those first disciples all fled when confronted with the cross of Christ at his arrest in the Garden of Gethsemane. They understood what was at stake, and they were afraid for their own lives. Yet something happened between Good Friday and Pentecost. Something changed those men, so they no longer feared earthly power but trusted in Christ. Through the empowerment of the Holy Spirit, they sought to do the will of God even if it meant giving up their lives—and for most of them, that is exactly what it did mean. For more about Michael Dubruiel. Let’s be honest: Most of us, given the choice, opt for the wide and comfortable path, the route of our own design. We would never choose the cancer, the unemployment, the infertility. The narrow way is just too hard, too lonely. Even so, the cross of Christ bids us to follow where it leads us. In John 21:18–19, Jesus prophesied this destiny for Peter, when he said: “Truly, truly, I say to you, when you were young, you girded yourself and walked where you would; but when you are old, you will stretch out your hands, and another will gird you and carry you where you do not wish to go.” Sooner or later, as Peter discovered, a cross is offered to us. If we want to follow the Lord, we must not only accept it but embrace it. At some point in our lives we must acknowledge that our ways are not God’s way. We find one such example in the Gospel of Luke. On the day of his resurrection, Jesus encountered two disciples on the road to Emmaus. As they walked along they fell into discussion, and the two men shared with Jesus, whom they did not recognize, how they had hoped that Jesus was “God’s Messiah” (Luke 24:21). Now these hopes had been dashed. Not only had the Lord failed to overtake his religious and political enemies; he had suffered an ignominious death at their hands. As far as they were concerned, God had abandoned Jesus. Later that week I mentioned the billboard to Father Pat Foley, the pastor of our small Catholic parish. He laughed. “Oh, Pearl had that put up, and it’s created quite a stir.” When I asked to meet Pearl, he suggested that I take the Eucharist to her at a local nursing home. The halls of the nursing home were filled with old souls, some crying out in pain. I expected Pearl to be one of them, but when I arrived at her door, I found a young woman in her twenties. She was propped up in bed holding a crucifix in her arms, with a candle burning on her bedside table. Pearl smiled and invited me in. My new friend received the Eucharist with great devotion, then closed her eyes and made her thanksgiving while I stood nearby. It was an image right off a holy card. For the next five months I continued to visit Pearl, until I left to attend college in southern Indiana. Several times each week I brought Pearl Holy Communion, then we would talk. Pearl had grown up in Michigan and moved to Florida after high school. She had been wild in her late teens and early twenties, she said, until life dealt her an unfortunate blow—terminal cancer. Now she lay abandoned in a nursing home; her husband rarely visited her, her family was far away. Although she had every earthly reason to be, she was neither sad nor dejected. In fact, she was the most joyful person I had ever known. What was her secret? Pearl held up the crucifix she always cradled near her. “It’s the power of the cross,” she replied. Her sickness had helped her to rediscover the faith of her childhood; she had experienced the power of uniting her own suffering with the Passion and death of the Lord. She had relinquished her own plans and opened herself up to God’s plan for her, even if it meant a short life on earth. the time of purification needed in purgatory (CCC 1471). exercises not from fear of punishment but out of love for God. 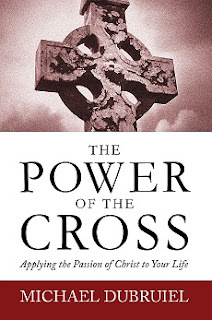 Michael Dubruiel’s The Power of the Cross is out of print, but feel free to download it here. There are a few used copies of The Power of the Cross on Amazon for under $5.00. Here's a free book that you can use for daily devotions during Lent, which begins on March 1, 2017. 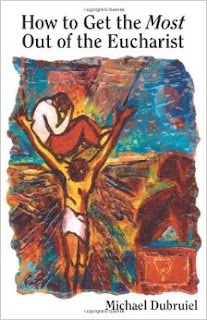 Here you may download a free .pdf copy of The Power of the Cross by Michael Dubruiel. 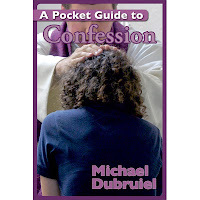 Also: Michael Dubruiel recorded a series of interviews with KVSS radio based on the book. You can find those interviews here. Serve: Obey the command that Jesus gave to his disciples at the first Eucharist. Adore: Put aside anything that seems to rival God in importance. Confess: Believe in God’s power to make up for your weaknesses. Respond" Answer in gesture, word, and song in unity with the Body of Christ. Incline: Listen with your whole being to the Word of God. Fast: Bring your appetites and desires to the Eucharist. Invite: Open yourself to an encounter with Jesus. Commune: Accept the gift of Christ in the Eucharist. Evangelize :Take him and share the Lord with others. Filled with true examples, solid prayer-helps, and sound advice, How to Get the Most Out of the Eucharist shows you how to properly balance the Mass as a holy banquet with the Mass as a holy sacrifice. 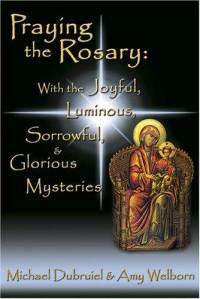 With its references to Scripture, quotations from the writings and prayers of the saints, and practical aids for overcoming distractions one can encounter at Mass, this book guides readers to embrace the Mass as if they were attending the Last Supper itself. 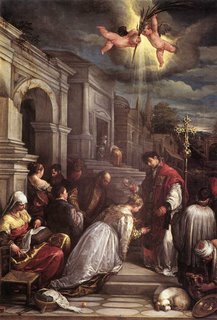 At least three different Saint Valentines, all of them martyrs, are mentioned in the early martyrologies under date of 14 February. One is described as a priest at Rome, another as bishop of Interamna (modern Terni), and these two seem both to have suffered in the second half of the third century and to have been buried on the Flaminian Way, but at different distances from the city. In William of Malmesbury's time what was known to the ancients as the Flaminian Gate of Rome and is now the Porta del Popolo, was called the Gate of St. Valentine. The name seems to have been taken from a small church dedicated to the saint which was in the immediate neighborhood. Of both these St. Valentines some sort of Acta are preserved but they are of relatively late date and of no historical value. 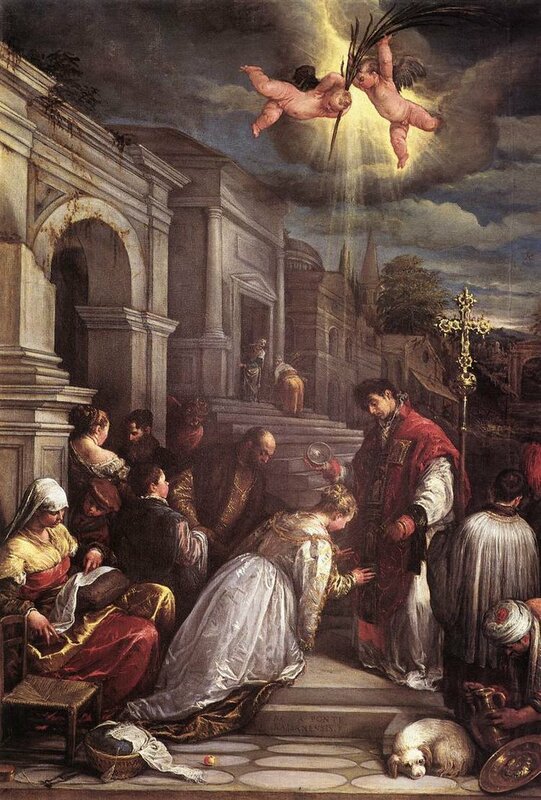 Of the third Saint Valentine, who suffered in Africa with a number of companions, nothing further is known. Have a great devotion to the Passion of Our Lord. that Christ wishes to bestow upon us. Books like The How to Book of the Mass and How to Get the Most Out of the Eucharist. Our brother, Paul Miki, saw himself standing now in the noblest pulpit he had ever filled. To his “congregation” he began by proclaiming himself a Japanese and a Jesuit. He was dying for the Gospel he preached. He gave thanks to God for this wonderful blessing and he ended his “sermon” with these words: “As I come to this supreme moment of my life, I am sure none of you would suppose I want to deceive you. And so I tell you plainly: there is no way to be saved except the Christian way. My religion teaches me to pardon my enemies and all who have offended me. I do gladly pardon the Emperor and all who have sought my death. I beg them to seek baptism and be Christians themselves”. John Paul II's Biblical Way of the Cross, by Michael Dubruiel, published by Ave Maria Press.